Bathroom clutter is the bane of many people’s lives. Particularly if your bathroom or shower room is a little on the small side, and if you just can’t bring yourself to culling you beauty product collection, it can be difficult to find enough storage for all your lotions and potions and general bathroom paraphernalia. 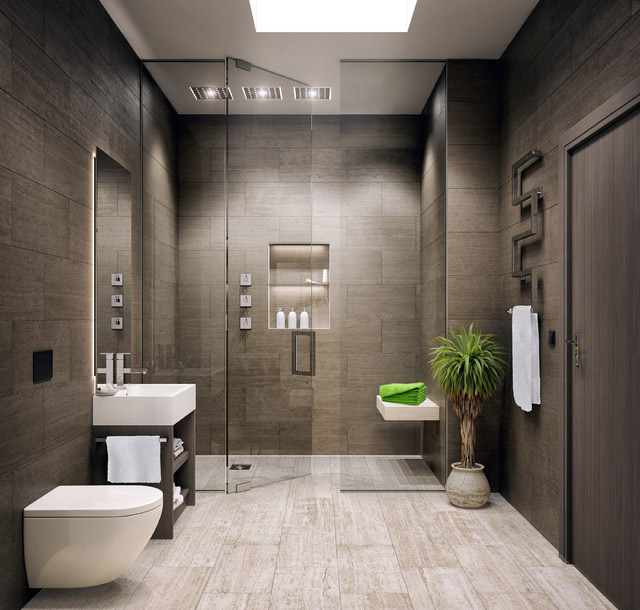 What’s more, in recent times bathrooms have become a focal point for modern, minimalist design. The growing trend for sleek and uncluttered surfaces to create an oasis of calm and tranquillity means that it’s essential that we find clever and stylish storage solutions to keep our bathroom bits and bobs hidden from view. 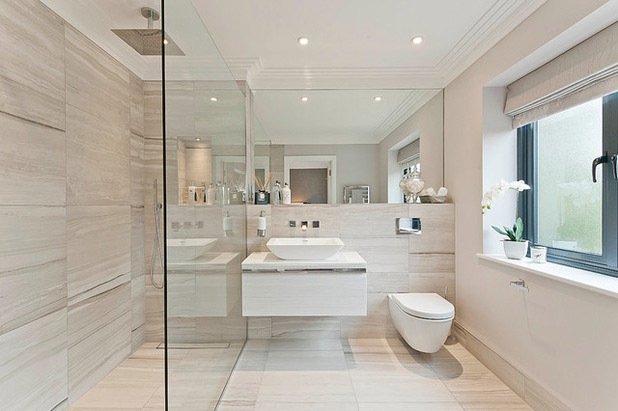 Here are some creative ideas to help you maximise the space in your bijou bathroom. 1. Make use of the space above the washbasin: put up a ledge-style shelf for easy access to everyday toiletries or fit a wall-hung vanity cupboard with hidden storage behind a mirror. 2. If you have a pedestal or wall-mounted washbasin, use the space underneath well. Stacked wicker baskets can look very nice, as do a range of other decorative containers, bins or trays. You can also get special under-sink shelving that has been shaped to fit the space. 3. For vanity units, have you considered fitting a curtain beneath the basin? Hiding all your bathroom bits behind a simple ‘sink skirt’, in a fabric of your choice, can give a charming vintage or Scandinavian feel to your bathroom. 4. To maximise storage in bathroom cabinets, add extra drawers or storage bins that fit snuggly inside to keep all those small toiletries and make-up items organised. 5. Don’t forget the space above the WC. A shelving unit, a cabinet or a basket for toiletries or reading material could work well here. 6. Also available are super narrow, freestanding bathroom cabinets or drawer units that are designed to neatly tuck in beside the toilet. 7. Fix handy hooks or towel rails to the back of the bathroom door. A high storage shelf above the door could be the ideal place for anything from towels to toilet rolls. 8. Whatever wall space is available, use it cleverly. If your budget allows, custom-made built-in shelving units and/or cabinets are the best solution, especially for irregularly shaped rooms. If wall space is at a premium, you could mount narrow spice racks for organising make-up etc. Small hanging baskets or jars are another option. 9. If there is space for freestanding storage units, however limited, you might want to consider a storage ladder, which not only looks on trend but is also surprisingly effective for holding a lot of bathroom ‘stuff’. Better still, invest in a storage tower which will give you easy access to bulky towels, bath products and cosmetics. 10. Multi-functional thinking pays dividends in a small bathroom. Storage stools, for instance, are not just great for sitting on, they can double up as handy containers for towels, laundry, bath toys etc. Article provided by Mike James, an independent content writer working together with Sussex based specialist The Brighton Bathroom Company – who were consulted over the information contained in this post.